A sequel for PlayStation 4-exclusive title Horizon Zero Dawn is seemingly confirmed by voice actor Janina Gavankar. Back in February 2019, developer Guerrilla Games celebrated second anniversary of release for their 2017 action role-playing game Horizon Zero Dawn that sold over 10 million copies worldwide to become one of the best-selling PlayStation 4 games. 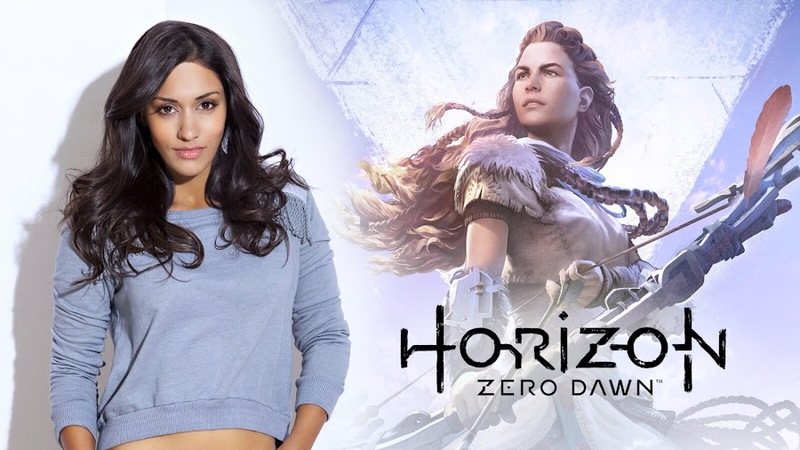 That level of success pretty much guarantees a sequel for this PS4-exclusive but rather than speculating, we have actress Janina Gavankar, who voiced a character named Tatai in Frozen Wilds DLC confirming its existence lately. At Star Wars Celebration 2019 ongoing event on Chicago, Gavankar met a fan who was cosplaying as her character Iden Versio from story campaign of Star Wars Battlefront II, telling Janina that she got into playing HZD because of her. It's incredible, wait 'til you see the sequel. You're gonna die. I know some secrets! You're gonna die. Their brief conversation was recorded on camera and Reddit user ninjyte pointed out to that Twitch clip, which has now been removed but since people never forgets anything on internet; we have found access to that moment. Gavankar has only confirmed that a sequel is indeed in works and her character Tatai from Frozen Wilds expansion is returning as well. It seems that the game is far from completion and probably in some early stage of development. Even though Sony is skipping E3 2019, they can simply make a grand reveal through one of their upcoming State of Play episode. It can also launch sometime in 2020, same year when PlayStation 5 is also eyeing for release. Two years have passed and fans are excited to get a HZD sequel in spite of no announcement or anything from Guerrilla Games and publisher Sony Interactive Entertainment but there are no reasons for them not wanting to continue making the next game. Upon release, Horizon Zero Dawn turns out to be one of the most popular new PS4 franchises that surpassed other exclusive titles like God of War, Marvel's Spider-Man and Uncharted 4: A Thief's End on the same platform in overall sales worldwide. Guerrilla Games celebrates the second anniversary of Horizon Zero Dawn and share development fun facts. 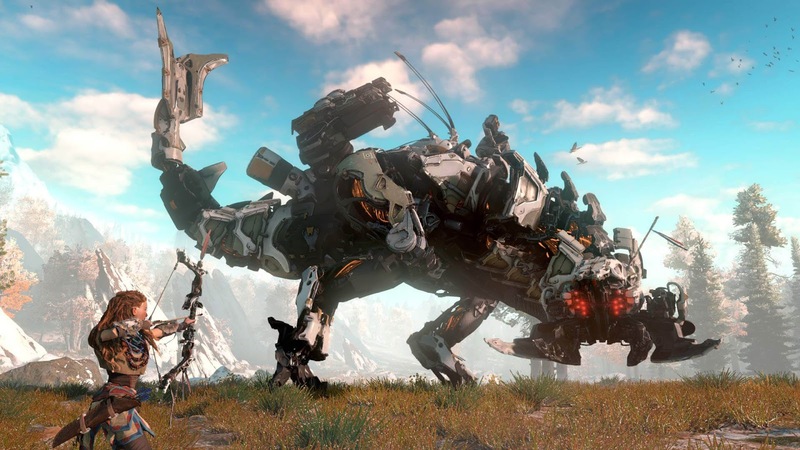 Developers at Guerrilla Games knew that they are up to something good after completing 2017 action role-playing game Horizon Zero Dawn and early feedback also backed that idea but they never really expected to receive so much appreciation in return. As of today, the entire studio staff is currently celebrating the second anniversary of its release and now has become one of the best-selling PlayStation 4 games by selling over 10 million copies worldwide by February 28, 2019. Now that they have managed to surpass an impressive sales number, the game has officially surpassed other PS4-exclusive titles like God of War, Marvel's Spider-Man and Uncharted 4: A Thief's End in terms of commercial success. In two years, players have many fun experiences and memories taking on protagonist Aloy's journey in HZD. On the year of its launch, the game was one of the most talked over title in 2017 and for all the right reasons. In celebration, the studio offers to share some of their development details for HZD all of which helped to shape the game. Right after they finished working on Killzone 3, the Intruder pilot Jammer from the game becomes an early prototype model for Aloy. They began playing with gameplay elements back in 2010 and were having a tough time finding a suitable facial mock-up for Aloy but help came from Conversation Director Jochen Willemsen when he suggested Dutch actress Hannah Hoekstra for the role. Sound design department was literally looking for needles in haystack listening over to more than 750 bird sounds and choosing only 30 to include in final cut. Different machines making various sounds defined their unique character as they mixed animal sounds to add natural vibes. 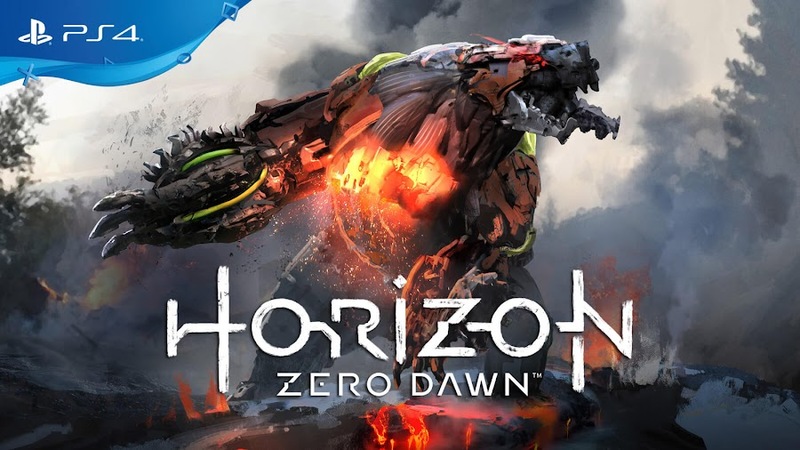 After initially mentioning the project briefly back in 2014, Horizon Zero Dawn was announced back in E3 2015 and has become the biggest project Guerrilla Games took on for publisher Sony after their successful stint on Killzone series. Celebrating the first anniversary of Horizon Zero Dawn: The Frozen Wilds, Guerrilla Games sat down to talk about creating one of the in-game creatures, Fireclaw. Last year, around the same time this week, developer Guerrilla Games has released The Frozen Wilds expansion for their action role-playing game Horizon Zero Dawn on PlayStation 4, which added brand-new chapter for Aloy to explore new grounds and complete quests. Of course, the world of HZD is full of dangerous machines everywhere that she would come across during her journey and hunt them down. To celebrate the one-year anniversary of the expansion, developers Richard Oud and Pinar Temiz talks about one such fierce character known as Fireclaw. 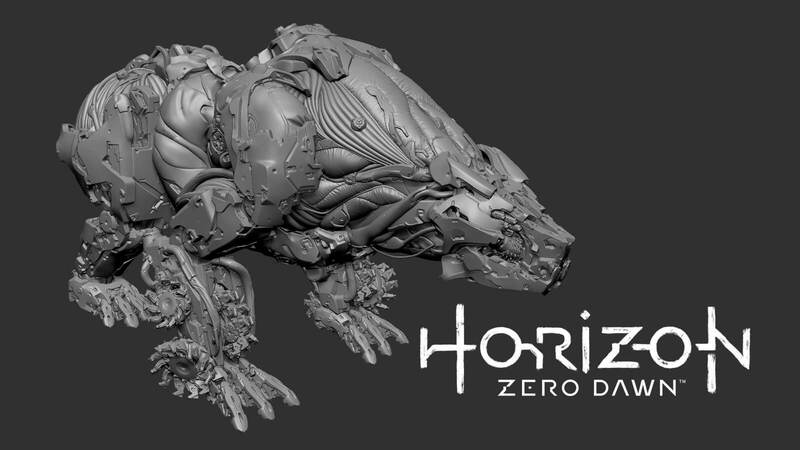 Initially they came up with the idea of creating a machine hybrid creature for HZD that resembles to a bear but due to time constraints, that idea was scrapped. So, when they were back at developing The Frozen Wilds, the idea of bear came back. 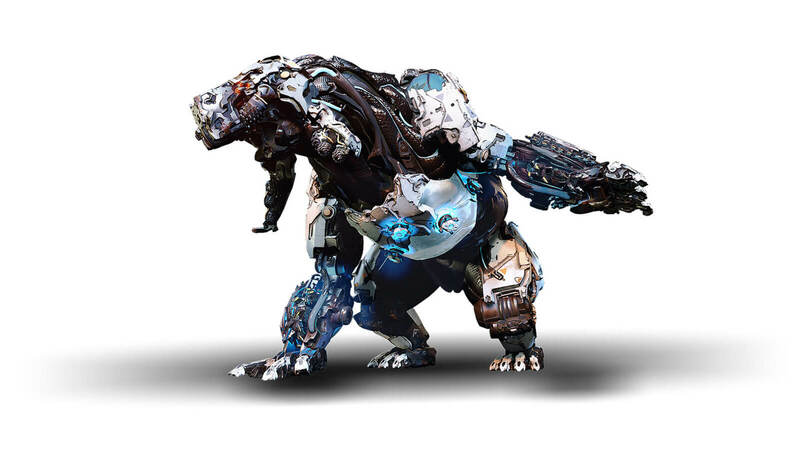 The team then immediately delved into development with design documents for making the bear concept into a machine. Animation department were provided the 3D models and they started testing with its attack and other movements. 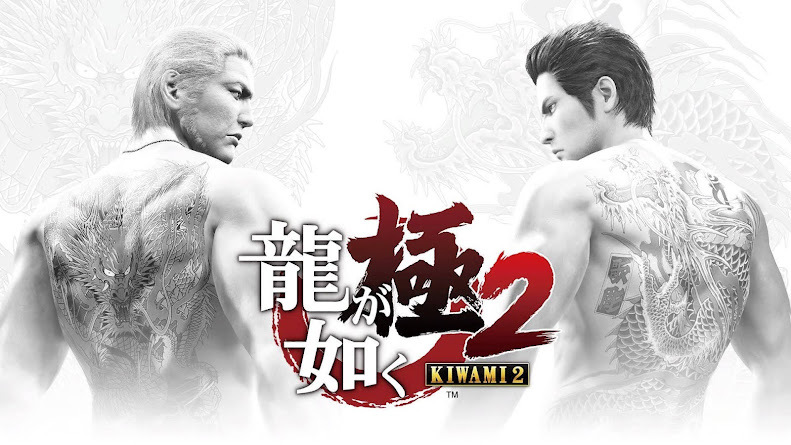 Some of the designs were implemented and some are tested but then left out when they thought some of its moves may come as difficult for players to get a read on. The design and animation team worked on it to come to a solution eventually. 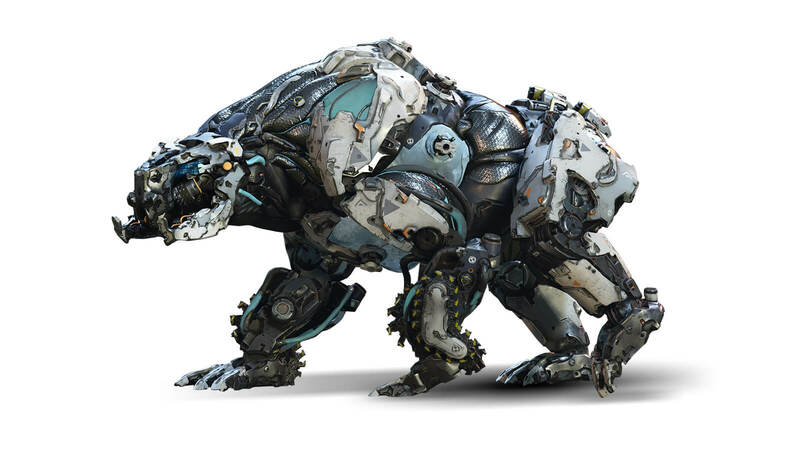 Now that they established a better set of movement for the creature, AI department started putting the bear into the game and senior sound designer Pinar Temiz started working on its sound effects and vocalizations. Fireclaw is a huge bear-like machine that had move set comprised of lava-based attacks but it still has some similarity with other machines from Horizon Zero Dawn, which was a starting point for Pinar to work with an idea of not making it too clunky. Check out his take on the idle movements of the beast from the game in the clip below when it is not engaging into a fight and just simply minding its own business. 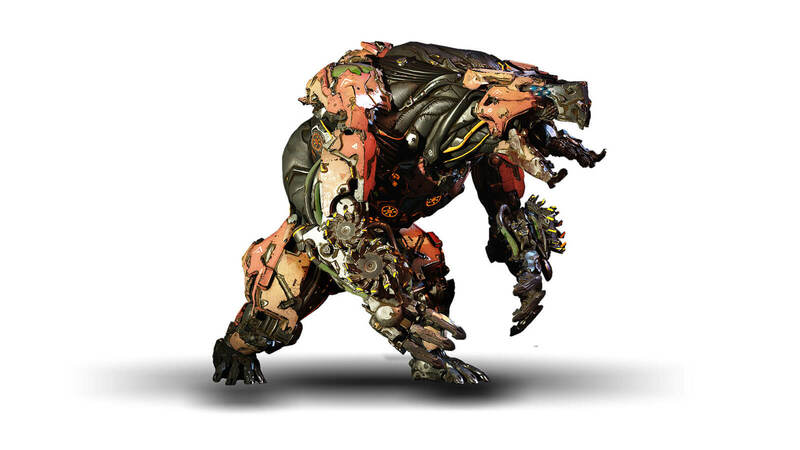 When the animation team was done making the basic movements and walking set for Fireclaw, they decided to add reference nature of grizzly bears from video clips. However, they moved to polar bears simply due to the fact that they are of a bit more authoritative figures and have slightly different features. Since the idea of the creature came from bears, it makes sense when the studio took a round on variety of their races but wouldn't it sound completely crazy if they start looking up to Red Pandas? That is what happened and they got what they needed from YouTube. Though looks quite cute, Red Pandas actually use their body weight to put their opponents down in a fight and the way they simply drops and rolls is amazing. Looks like the creators of the famous Kung Fu Panda franchise has taken their inspiration for the series from the same source. After a few processing and development of layering those sources, the second stage of performance came out next. Pinar studied bears grunting, other animals that has an intimidating sound of being grumpy and the solution came from walruses and seals. These grunts mixed with synthetic movement sounds slowly helped him achieve the right mark he was looking for. Now that he came to a stable state with the desired vocalization of Fireclaw, all they wanted was not to make the motions and sounds repetitive. All animators and sound designers worry about falling into this dilemma very often. Over time, this can be a problem when player will notice that it seems artificial and forcible on them. This has to be avoided at any cost but the studio didn't have enough resources to spare or much time at hand to keep working on it. Therefore, the studio of Guerrilla Games came up with a system that will pick randomness and then mix it with their finite resource pool to bring variation. They even had this repetition issue on the early stages as well when Aloy used to ride her mount. Fortunately, their solution worked and different variations were achieved from random cycles to provide a non-repetitive, natural look. The team even delivered different layers of sounds for both front and back footsteps. Another issue that troubled them was when Fireclaw and Frostclaw stood on their two legs; it felt like a guy in a metal bear suit, which is awkward. So, more footage of reference came to play until they finally came to a convincing bipedal stance. What many people may not have known is that the studio used human performances among the mix of machine vocalizations but getting it right was the tricky part. So, human voices were pitched down and blended with other sounds. Aside from these work, both Fireclaw and Frostclaw has their unique models and sizes to work with. They even have distinct attack animations, many of which taken reference from various CGI portrayals of Hollywood blockbuster movies. These up close development phases and videos clearly depicts how much coordinated team work it takes to create one of these creatures to come alive into the game environment and that is definitely a lot harder than defeating them in-game. Developer Guerrilla Games have obviously taken a lot of effort to create these individual machines to add to their game and Horizon Zero Dawn became so great because of their dedicated hard work towards this project. Steamforged Games never thought Kickstarter campaign for PS4-exclusive title Horizon Zero Dawn will be funded in hours. We already know that a tabletop version of PlayStation 4-exclusive title Horizon Zero Dawn is in the works. The latest update at hand is that, the Kickstarter campaign to crowdfund the project by Steamforged Games gets fully funded yesterday within a short time span of two hours for a 21-day campaign. After being initially announced last month, dedicated fan base of this board game started financially backing up this project. Now, they will probably plan for some more stretch goals. Steamforged has a successful history in crowdfunding, notably for raising a $5.4 million pledge for Dark Souls: The Board Game and another $1.04 million to make Resident Evil 2: The Board Game. The fact that they are directly associated with developers Guerrilla Games and publisher Sony Interactive Entertainment of the game rooted people's trust even further. Company co-founder Mat Hart has been working in video game industry for more than a decade and is passionate for tabletop gaming. If you have played the tabletop Dark Souls already and loved the cooperative experience it offers, chances are you will end up loving the same idea HZD will present. Players will choose a tribe from Banuk Survivor, Carja Warrior, Nora Outcast or Oseram Forgesmith; each one represents a unique class that is different in terms of combat styles. For example, some among them might be good in stealth, some excels in traps and some may come in handy for all-out frontal assault. Players will join in different roles in the group called Hunter’s Lodge and works collectively to take down all hostile robotic organisms around them. They will compete with each other to earn glory from killing blows to improve their status among their group. Instead of generating random map like their board game representation of Dark Souls, Steamforged Games takes a more strategic approach by letting them choose their own path. But remember, less resistance means fewer parts for upgrade. Considering many fans of outcast protagonist Aloy may not be very familiar with the format of a typical tabletop, they tried to make it really simple though. The studio launches a full-length gameplay playthrough detailing many details you have been wondering about from their Kickstarter campaign and here it is. By pledging your support to the campaign, you can either sign up for the $123.77 worth early-bird package before Friday or pay $130.28 for the other one that will be available till September 28. Each of these packs comes with three expansion sets and new enemies to encounter from Horizon Zero Dawn universe. Steamforged also pitched for five additional expansions for spending an extra $221.48. 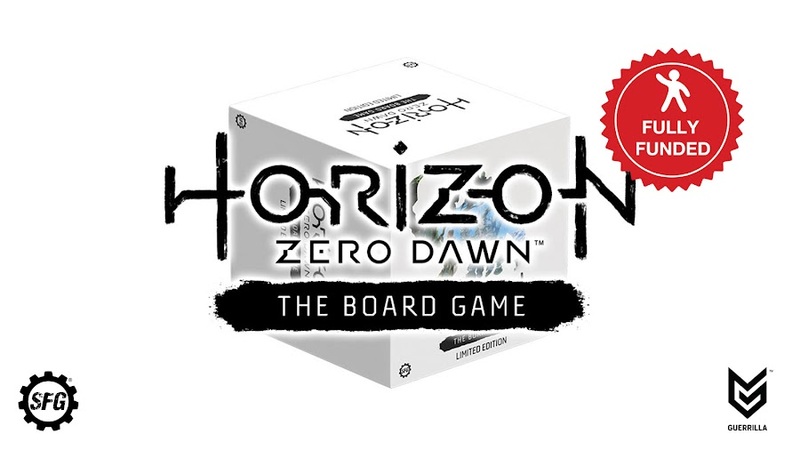 Steamforged Games is working on an exciting Horizon Zero Dawn board game with Sony Interactive and Guerrilla Games. 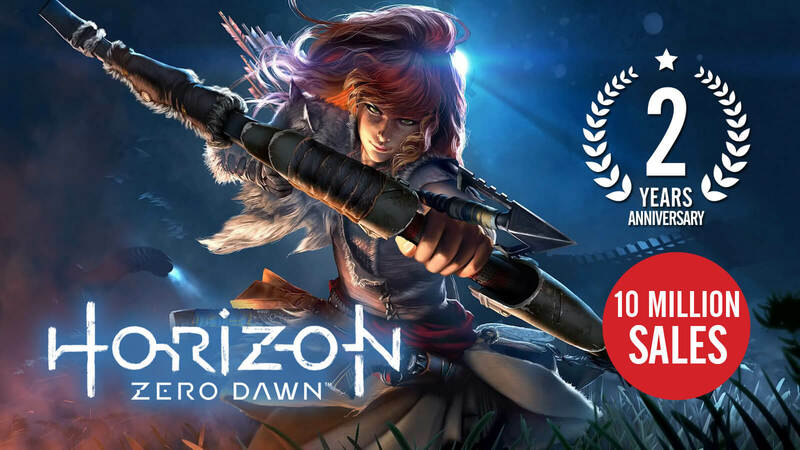 After receiving praise from critics for PlayStation 4-exclusive title Horizon Zero Dawn, Sony Interactive Entertainment and Guerrilla Games also enjoyed this action role-playing game being one of the best-selling games on the platform in 2017. That leads Steamforged Games to go for a Kickstarter campaign to launch a tabletop version of the game. 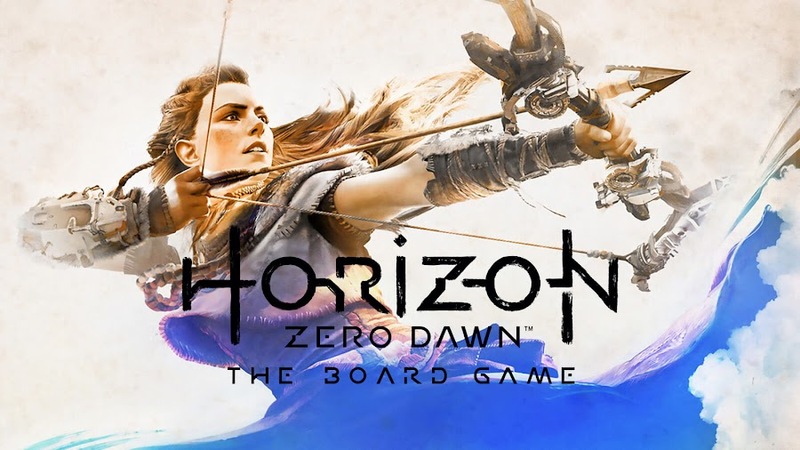 If they are triumphant in this operation to fund their board game developing project, fans will have the chance to explore HZD in a unique way. Already worked with board games that are based on fan-favorite video games like Dark Souls and Resident Evil 2, Steamforged Games is most probably going for another of their successful crowdfunding campaign on Kickstarter. Picking HZD for the project was for an incredible open world full of mechanised creatures it offered beauty and danger to fans in a contrast that was never done before. Guerrilla Games and Sony are closely incorporated with them in development of this tabletop. 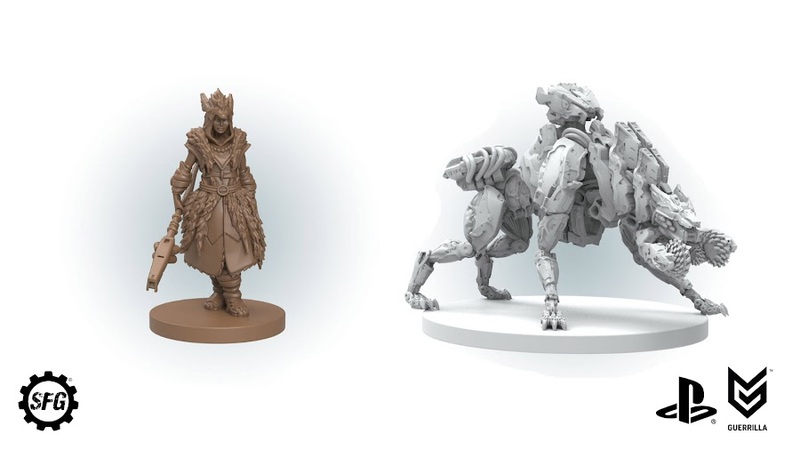 For starter, the Horizon Zero Dawn board game project has just a rendered piece of outcast protagonist and skilled warrior Aloy with a staff like weapon in her hand. 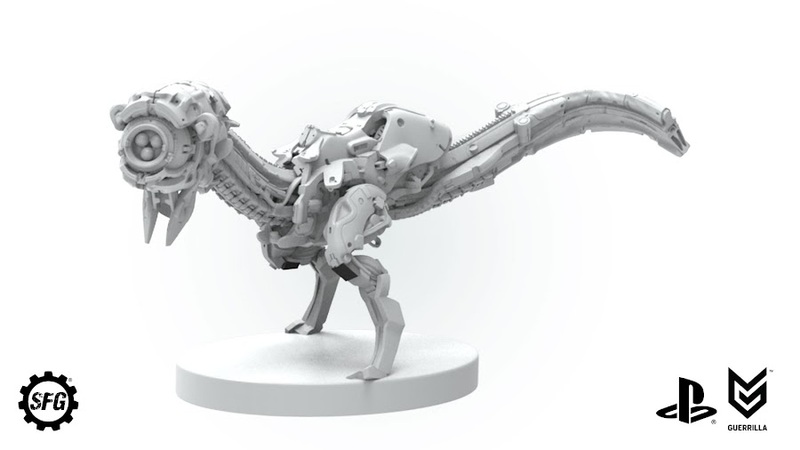 Then there is a piece of those self-replicating combat robot Scrapper, one of those mechanical beasts that dwell in her hunting ground and provides resource loots when reduced to pieces. Both of these figures are still not colored but still looks promising enough for surely to become astounding pieces when complete. Currently, their designs are in a very initial level and received only primary rendering, which are awaiting approval from license owners. Although they don't have much to show just yet but given their track record, you can bet that we are about to witness another dynamic experience on board and card. Besides, the studio members are huge fans of Horizon Zero Dawn from the moment of release, which not only gives them a sound understanding of the game but also to connect with fans. 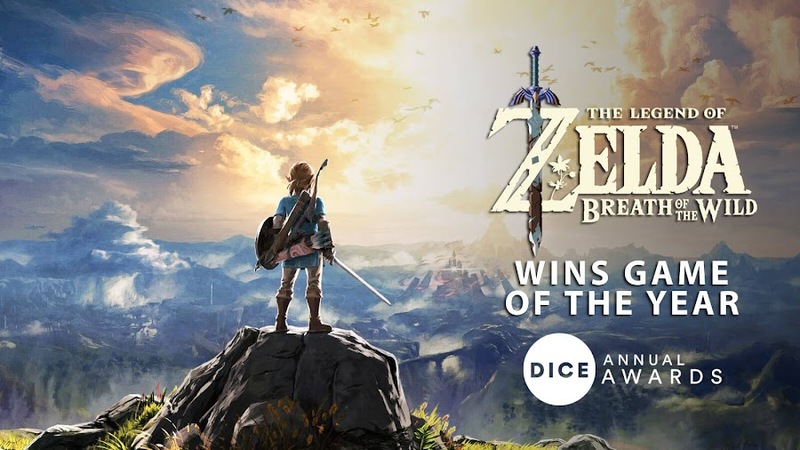 Nintendo's Legend of Zelda: Breath of the Wild scores big-time at the 21st annual DICE Awards 2018. Last year, Nintendo's open world action-adventure game the Legend of Zelda: Breath of the Wild was released from Legend of Zelda series. 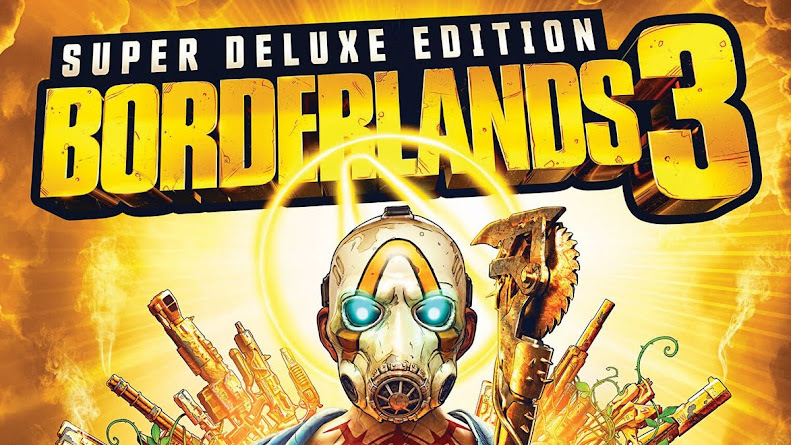 The game was exclusively dropped on Nintendo Switch and Wii U, which ended up receiving critical acclaim as well as breaking Nintendo's sales records of the past by selling over six million copies. On Thursday night, the game won big time at the 21st DICE Awards. The latest installment from Legend of Zelda franchise won prestigious awards like Adventure Game of the Year, Outstanding Achievement in Game Direction, Outstanding Achievement in Game Design and Game of the Year at the event. Genyo Takeda, executive and designer of Nintendo received Lifetime Achievement Award at the same night for his contributions to gaming over the years. RELATED: Super Smash Bros. Game Rumored for Nintendo Switch! Four other games that won the night from Nintendo in Handheld Game of the Year, Mobile Game of the Year, Outstanding Achievement in Sound Design and Racing Game of the Year for Metroid: Samus Returns, Fire Emblem Heroes, Mario Kart 8 Deluxe and Super Mario Odyssey respectively. 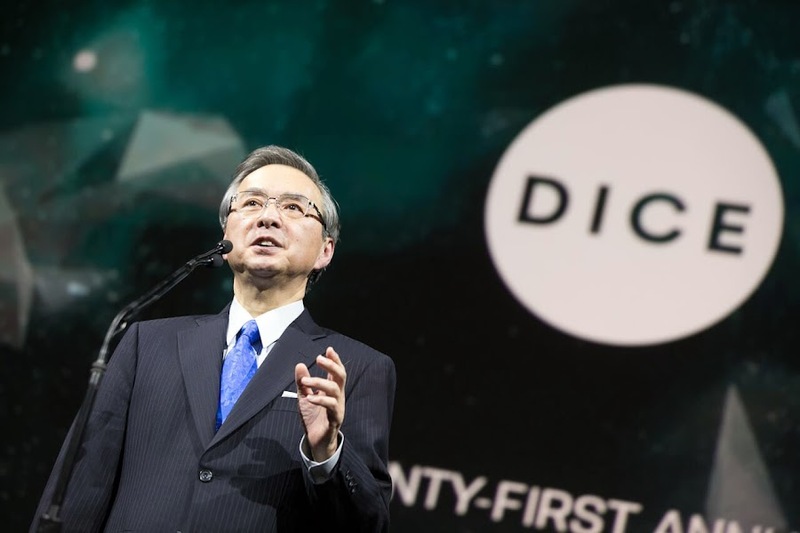 With that, Nintendo takes eight trophies home from the 21st DICE Awards this year. 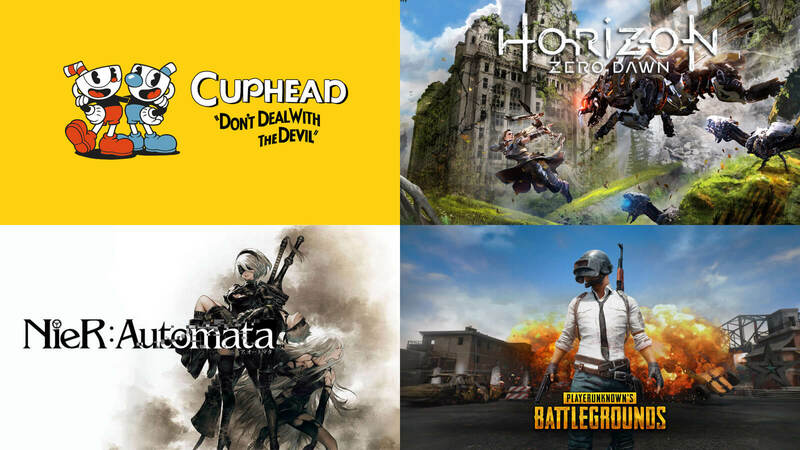 Battle royale sensation, PlayerUnknown’s Battlegrounds becomes Action Game of the Year and gets another for Outstanding Achievement in Online Gameplay. Styled in 1930's era of animation, run and gun indie title Cuphead from StudioMDHR gets award for Animation, Art Direction and Original Music Composition. Horizon Zero Dawn was picked for both Outstanding Achievement in Story and Outstanding Technical Achievement. Other achievements worth mentioning are FIFA 18 for Sports Game of the Year, Hellblade: Senua’s Sacrifice – Senua for Outstanding Achievement in Character, Injustice 2 for Fighting Game of the Year and Nier: Automata for Role-Playing Game of the Year. 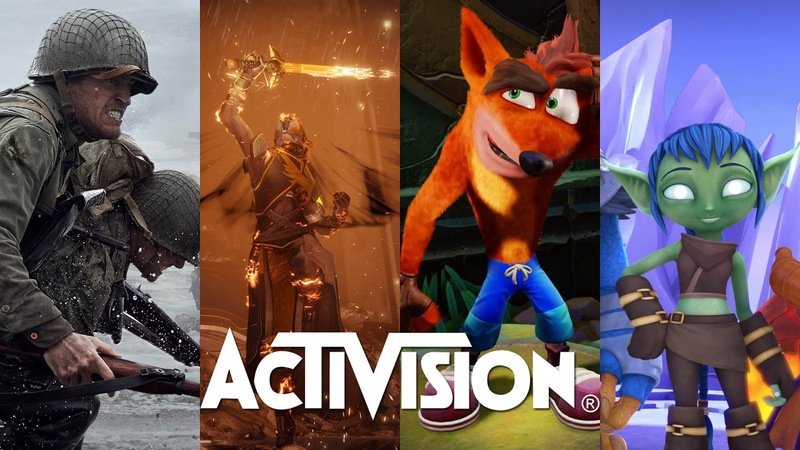 Activision has been ruling the video game market for consoles with its best-selling titles; Call of Duty: World War II and Destiny 2. As 2017 is nearing to the end, many console gamers are probably wondering how well their favorite games did on the market. Because, not all game released over the year didn't do very well as they were expected to and then there are titles that did exceptionally well. Recently, publisher company Activision has revealed one such news regarding two of their most successful titles of the year over consoles; Call of Duty: WWII and Destiny 2, which shouldn't come as a shock to gamers as it was almost predictable throughout the year. Call of Duty: WWII single handedly brought $1 billion from worldwide in November, which is pretty outstanding considering the last installment from Call of Duty series titled Call of Duty: Infinite Warfare failed to reach out expectations by everyone on so many levels. Plus, Infinite Warfare is deemed as commercial failure and with the booming success of WWII, seems like Activision is getting back in the gear once again in the market and the future of the series is safe for now. 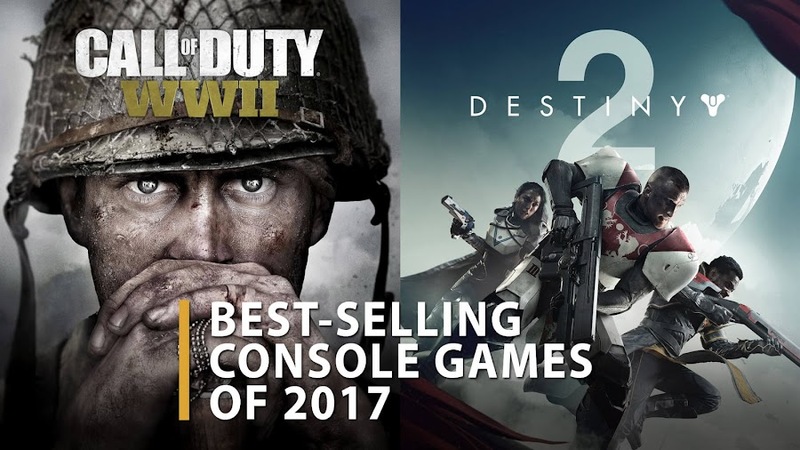 They acknowledged that not only Call of Duty: WWII has earned them some big bucks, it also is the record-breaking bestselling console game for the company now. In the 2017 Game Awards, WWII was also picked up as the contender for best multiplayer game among many other AAA titles of the industry, which backs it up pretty nicely. 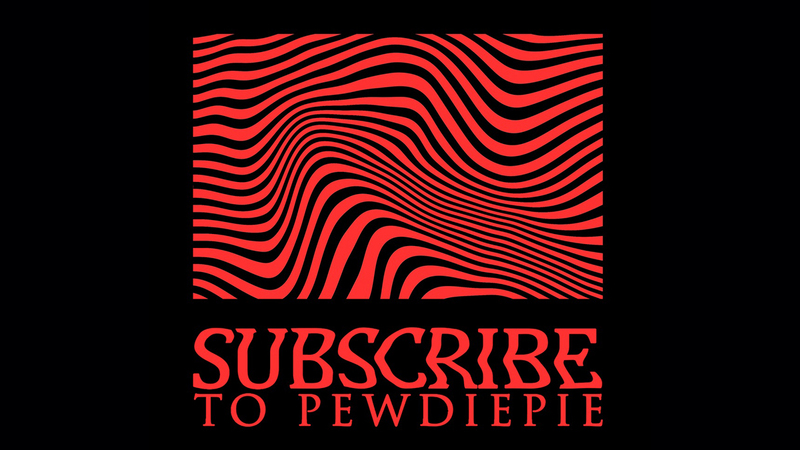 Call of Duty has always been a successful gaming franchise for the past nine years and with the impressive dominance of the recent entry of WWII, the series proved the power of its very own fan base is like no other once more. The other game from the same banner this year, Destiny 2 is also doing very well ever since it came out. The game managed to satisfy the eager crowd who was anticipating for its release. According to Activision, it became one of the biggest PC launch upon making debut on Blizzard’s Battle.net. Though Call of Duty: WWII and Destiny 2 are developed by Sledgehammer Games and Bungie respectively, they both came out in market from the big banner of Activision, which actually proved pretty positive for the games in overall. RELATED: Destiny 2 Warlock Glitch Will Fix After "The Dawning"
The publisher set another history on PlayStation 4 of being the #1 remastered collection with the release of The Crash Bandicoot N. Sane Trilogy. Throughout the year other games like Horizon Zero Dawn, Super Mario Odyssey and Legend of Zelda: Breath of the Wild was also quite popular among gamers. Developer studio Guerrilla Games has previously created shooter games like Killzone and Shellshock: Nam '67. So, they were thinking of working on a role-playing video game for the first time and thus, the idea of Horizon Zero Dawn came to play. The game will be set in an open world where mankind have fallen long before and now constantly at war with the machines for survival. Now this is the primary setting for the game we are talking about. 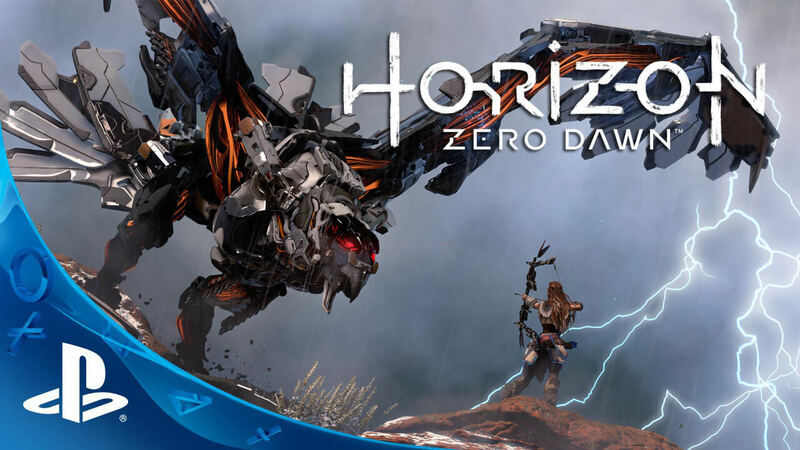 At Sony's PlayStation E3 conference, Guerrilla Games has dropped the first ever for Horizon Zero Dawn, offering us a brief glimpse into the world of this upcoming action RPG. Players will be taking the role of a young outsider named Aloy in Horizon Zero Dawn, who represents her tribe in this world and is out there to hunt down advanced machines that lurk within the environment around her. Civilization has fallen long ago and humans are no longer the dominant species of the planet. Sometimes the machines roam alone and then there are some who walks in pack. One thing is common among them is that they all can be extremely dangerous when engaged. The beautiful in-game surroundings are all open for you to use for your advantage and stealth to prey on your enemies. Plus, studying their unique nature will help you hunt them down. If you are paying attention to detail, chances are you can bring them down by using their weak points. As you play with Aloy, she can combine machine components and natural materials to craft weapons, ammunition and tools for you. Right now, Horizon Zero Dawn waits for a 2016 release on PlayStation 4 platform and there will be more in the social media as the studio make progress on the game. The initial post-apocalypse world aspects of the game seem intriguing enough for many to look forward to it. So, lets patiently wait for your turn as explore this world to go slay some mechanical beasts as Aloy.